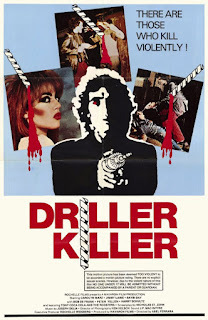 Ferrara’s breakthrough movie garnered an undeserved reputation as an unrelenting gorefest thanks largely to the gaudy UK cover art that helped ensure its place on the foolish “Video Nasties” list. 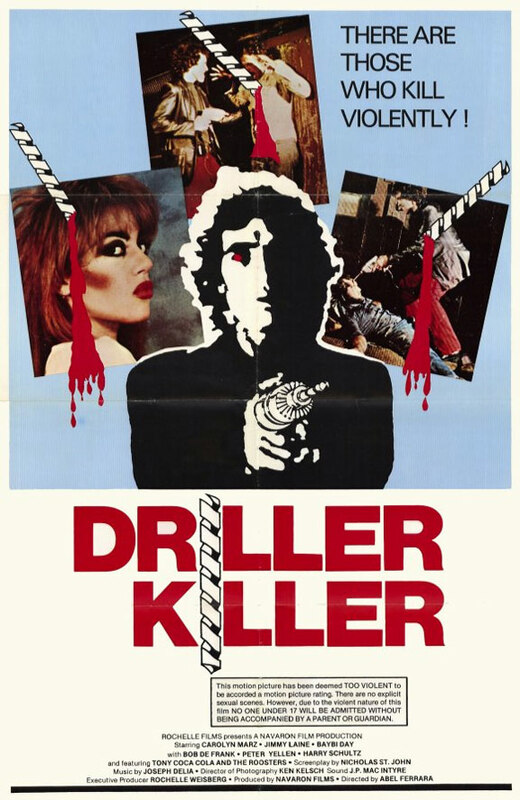 Although it does feature graphic gore moments (most notably a sleeping transient’s close-up forehead drilling) and a gratuitous lesbian shower scene, this is more a pretentious contemporary social drama than it is a splatter movie. Ferrara himself, as “Jimmy Laine”, takes the lead role of a poverty-stricken New York artist living with bi-sexual girlfriend Carolyn Marz and her lesbian lover and becoming overwhelmed with the miserable modern world. The tabloids are full of stories about hijackings and microwaved dogs; the bills are accruing alarmingly; his relationship is crumbling and everywhere he turns there are drooling bums and ugly hookers. Driven further over the edge by the punk band next door, he goes on a rampage with a power-drill, killing almost exclusively tramps (“What are you, a fix-it man?” one of them asks as he ambles towards him) in between having his bizarre artwork rejected (“Worthless, worthless, worthless!”). Ironically dedicated to “the people of New York, city of hope” while showing just how hideous the city is, this vividly captures a sense of late 20th century despair within its grimly realistic locale, though Ferrara’s own abrasive performance limits its ambitions to offer a kind of Grindhouse variant on TAXI DRIVER. Extended script detours, including screen time for the awful band The Roosters, test the patience, and the film’s greatest legacy remains its place as a career stepping stone for Ferrara toward MS.45, which truly is an outstanding exploitation movie.